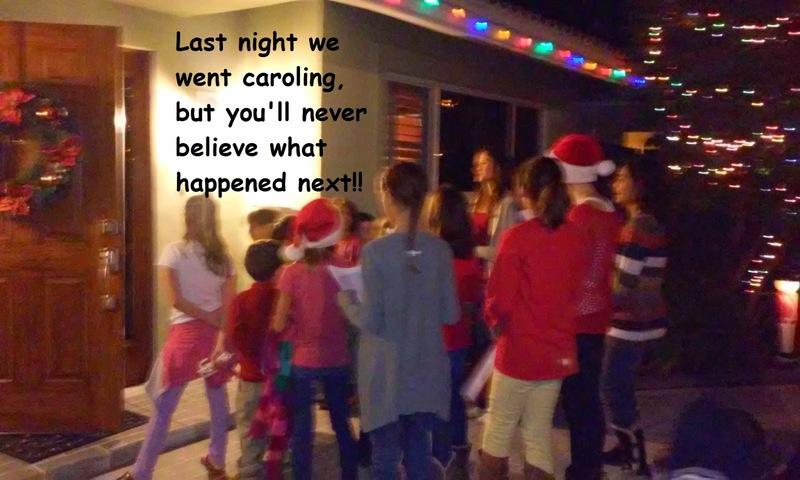 Last night we went caroling, but you’ll never believe what happened next!! I have this friend who is always thinking of ways to make me step out of my comfort zone. She is bold, loves Jesus, and lives to serve God and others. About 4 years ago, she decided that our home school co-op needed to go caroling. My first thought was, “People still do that?” My second thought was, “AWK-ward!” But just like everything else she dreams up, I went along with it, and even agreed to go in my own neighborhood……where people know me. I was nervous. After all, there is a war on Christmas, right? The mainstream media would have you believe that 90% of humanity are horribly offended by all things Christian… especially Christmas. So what, pray tell, would we encounter? Would they slam the door in our faces? Call the cops? Throw eggs? I steadied myself for the worst and held onto the thought of hot chocolate when it was all over. Between our four families we had about 12 kids. So we bundled them up and headed out. As we approached the first house, I still couldn’t believe we were about to sing on someones door step. And yet with all my preconceived notions, nothing could have prepared me for what happened next. House after house we got such similar reactions. First they were surprised. I mean, think about it. When is the last time someone showed up on your door step to sing to you? I can tell you with certainty that my answer to that question would be never! After the initial shock came the smiles. These huge soul moving smiles that came from a place of hope and love. Next there was gratitude. Repeatedly and enthusiastically, they thanked us. Many joined in the singing, and some even responded with tears. I don’t know where those tears came from, whether loss or nostalgia, but their presence confirmed our little venture. 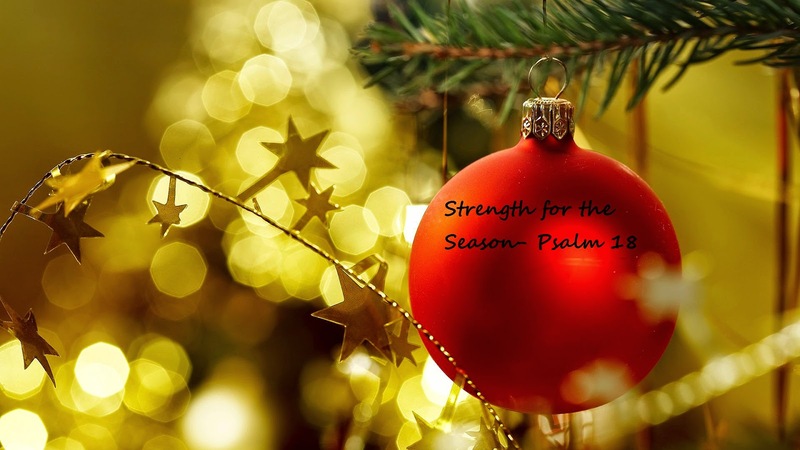 This Christmas season , however, our family is in a different place in life. My husband Paul is now the pastor at Calvary Chapel Midtown, a regional campus, near Fort Lauderdale, a little ways away from where we normally go caroling. Yet despite the distance, instead of going to one of our neighborhoods, our sweet friends decided that they would like to go with us to a neighborhood near our new church to invite those neighbors to our very first Christmas service. I knew that we had had great responses in years past, but Fort Lauderdale? Or more specifically, Wilton Manors? That would likely be different. Surely they would balk at our lyrics of silent nights and angels singing? I mean, this is offensive stuff people! There is no way that they would tolerate our songs to a newborn King. And I was right. They didn’t tolerate it… They embraced it! Let me explain. The first house was a sweet lady and her ninety year old mother. Upon hearing why we were there, they came outside and reclined in their wicker chairs soaking in the melodic carols and adorable faces. They joined in singing, eyes brimming with tears, yet smiling from ear to ear. Our first song, she told us, was her late fathers absolute favorite. House after house we were received and welcomed with love. There were more tears. So many thank yous. And one sweet lady was overcome with such shock that we would do this, this small thing. “But it’s just me here,” she explained. Surely we needed a bigger audience. But what she didn’t know, was that everything we do is for an audience of One. I need you to know, however, that this is not me saying “Wow, we changed the world tonight with our humble hearts and awesome vocals. Aren’t we great?” No, not one bit. Especially because our hearts are likely not very humble, and our voices are not awesome…..except the kids. Oh man they are adorable and cute!! But I digress…This is not about what we did. This is about what HE did. The reason I am sharing this is to remind you that our world actually really needs more of Jesus. But not only do they need Jesus, a staggeringly large number actually really wants more of Him. Even though we are being told that nobody wants Jesus anymore. Yes, even though a select, albeit noisy, few tell us that His words are offensive and His truths un-welcome, it is often not the reaction we get when we approach with love! This world is hungry for Emmanuel, God with us. And I am eternally thankful for the boldness of friends, who encourage us along, year after year, to share the love of Jesus, invite a stranger to church, and watch the world change from the inside out.